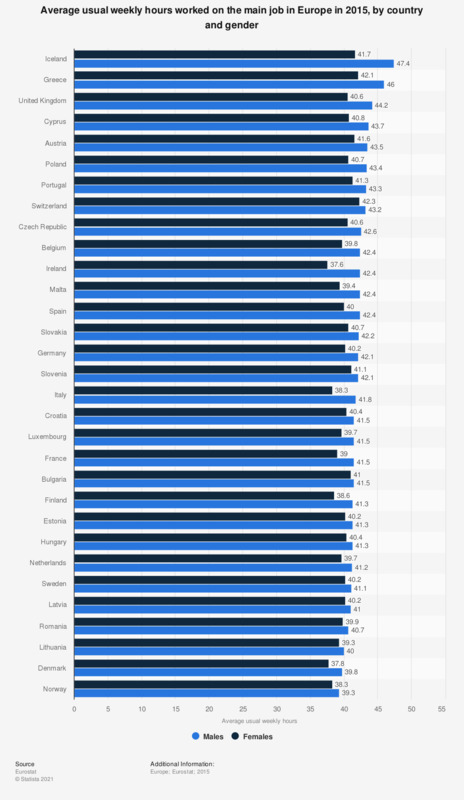 This statistic shows the average usual weekly hours worked in a main job in European countries in 2015, by gender. Iceland had the highest amount of weekly hours worked for both genders, averaging at 47.4 hours for men and 41.7 for women. Iceland also had the largest difference between genders and full-time weekly work hours, a difference of 5.7 hours per week.